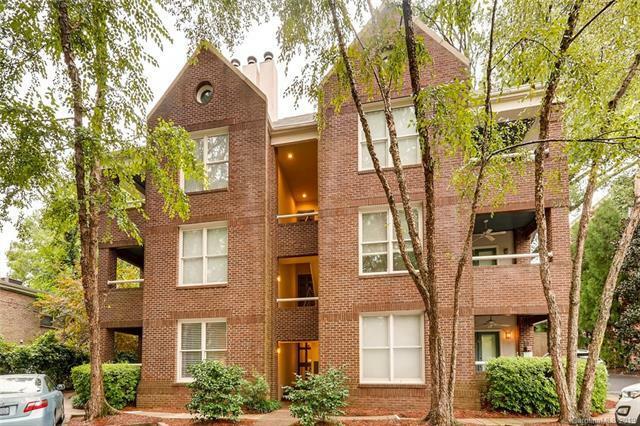 2220 Roswell Avenue A, Charlotte, NC 28207 (#3461360) :: Caulder Realty and Land Co.
Hard to find Myers Park first floor condo! This is a sweet property with painted kitchen cabinets, granite, fresh carpet and paint, and updated baths. There is parquet flooring in the kitchen and dining, and a wood burning fireplace! Designated parking space right outside your front door, plus a covered carport and storage room. Located on one of Charlotte's best streets - with towering trees and sidewalks! Walk to MPCC and the shops at Colony and Selwyn. Cyclists can jump on the booty-loop, and easily get to the Greenway that winds thru Myers Park and connects to uptown. Private covered porch connects to living and master. Walk in closets offer great storage. HOA just completed a whole-building exterior paint refresh.